European ASP.NET MVC 6 Hosting - UK :: Try Newest ASP.NET MVC 6 Feature with HostForLIFE.eu!! Good news here!! MVC 6 has been released by Microsoft. What interesting in ASP.NET MVC 6? ASP.NET MVC 6 which is called ASP.NET vNext, this includes so many new cloud optimized versions of MVC6, Web API3, Web Pages4, SignalR3 and Entity Framework7. 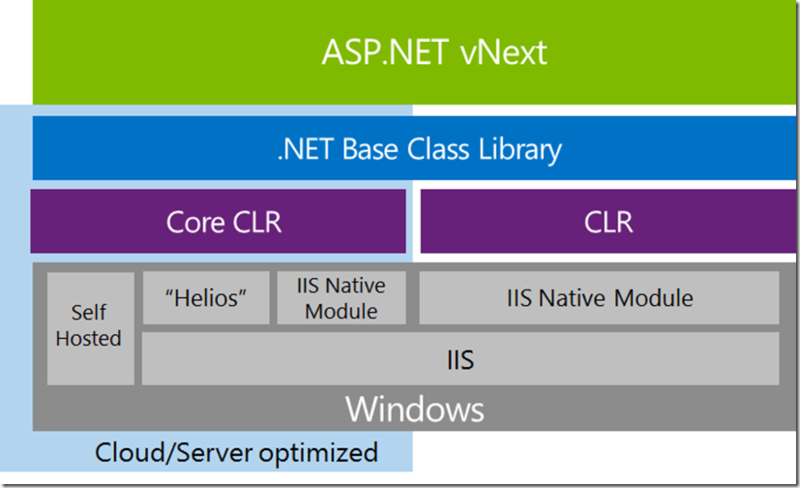 ASP.NET vNext apps are cloud ready by design. Services such as session state and caching will adjust their behavior depending on hosting environment either it is cloud or a traditional hosting environment. It uses dependency injection behind the scenes to provide your app with the correct implementation for these services for cloud or a traditional hosting environment. In this way, it will easy to move your app from on-premises to the cloud, since you need not to change your code. In this article, I will explain the differences between ASP.NET MVC and ASP.NET Web API. 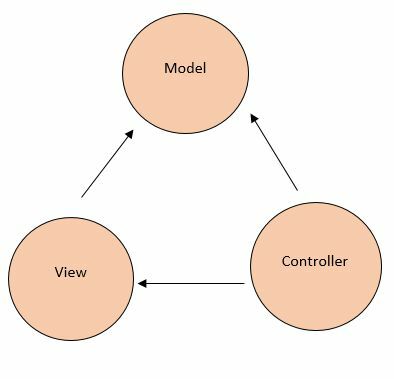 Model View Controller (MVC) divides an application into the three parts, Model, View and Controller. ASP.NET has many options for creating Web applications using the ASP.NET Web forms. MVC framework Combines the ASP.NET features such as Master pages, Membership based authentication. MVC exists in the "System.Web.MVC" assembly. View: View components show the User Interface (UI) of the applications that is created by the data model. For example the view of the Items table shows the drop down list and textboxes that depend on the current state of the "item" object. Controllers: In MVC, controllers are also called the components. These components manage the user interaction and chooses a view for displaying the UI. The main work of the controller is that it manages the query string values and transfers these values to the models. The Models retrieve the information and store the updated information in the database. Views are used for only displaying the information, and the controllers are used for managing and responding to the user inputs and their interaction. Is designed for reaching the broad range of clients. We can use the MVC for developing the Web application that replies as both data and views but the Web API is used for generating the HTTP services that replies only as data. In the Web API the request performs tracing with the actions depending on the HTTP services but the MVC request performs tracing with the action name. 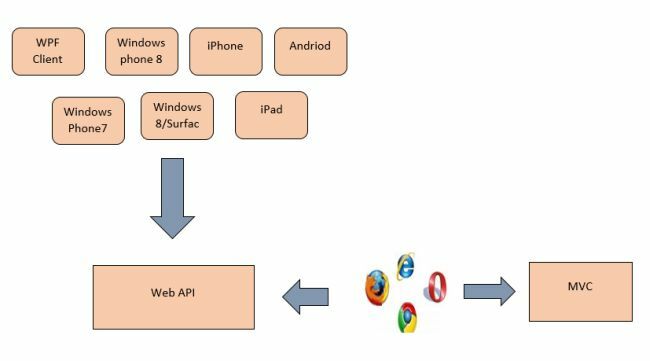 The Web API returns the data in various formats, such as JSON, XML and other format based on the accept header of the request. But the MVC returns the data in the JSON format by using JSONResult. The Web API supports content negotiation, self hosting. All these are not supported by the MVC. The Web API includes the various features of the MVC, such as routing, model binding but these features are different and are defined in the "System.Web.Http" assembly. And the MVC features are defined in the " System.Web.Mvc" assembly. The Web API helps the creation of RESTful services over the .Net Framework but the MVC does not support. When we do the self hosting on the application, in it we combine both the MVC controller and the API in a single project and it helps for managing the AJAX requests and returns the response in XML, JSON and other Formats. We combined the MVC and Web API for enabling the authorization for an application. In it we create two filters, one for the Web API and another for MVC. HostForLIFE.eu, a leading Windows web hosting provider with innovative technology solutions and a dedicated professional services team proudly announces New Data Center in London (UK) and Seattle (US) for all costumers. HostForLIFE’s new data center in London and Seattle will address strong demand from customers for excellent data center services in Europe and United States, as data consumption and hosting services experience continued growth in the global IT markets. The new facility will provide customers and their end users with HostForLIFE.eu.com services that meet in-country data residency requirements. It will also complement the existing HostForLIFE.eu. The London and Seattle data center will offer the full range of HostForLIFE.eu.com web hosting infrastructure services, including bare metal servers, virtual servers, storage and networking. "Our expansion into London and Seattle gives us a stronger European and American market presence as well as added proximity and access to our growing customer base in region. HostForLIFE.eu has been a leader in the dedicated Windows & ASP.NET Hosting industry for a number of years now and we are looking forward to bringing our level of service and reliability to the Windows market at an affordable price,” said Kevin Joseph, manager of HostForLIFE.eu, quoted in the company's press release. The new data center will allow customers to replicate or integrate data between London and Seattle data centers with high transfer speeds and unmetered bandwidth (at no charge) between facilities. London and Seattle, itself, is a major center of business with a third of the world’s largest companies headquartered there, but it also boasts a large community of emerging technology startups, incubators, and entrepreneurs.